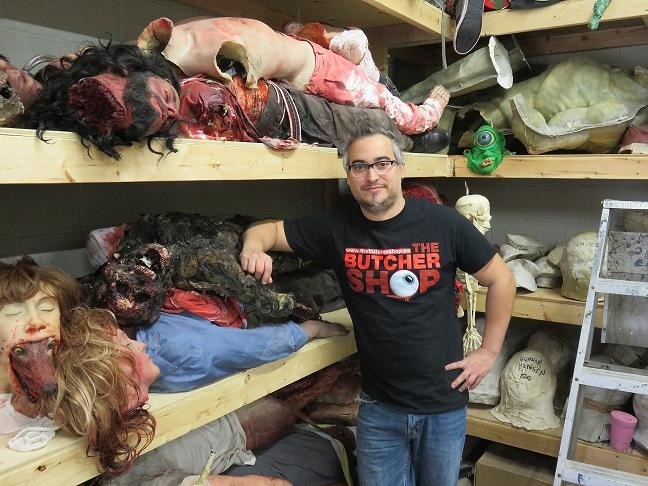 We were lucky enough to visit Hamilton’s The Butcher Shop, which specializes in and is dedicated to designing and creating unique and high-level makeup effects, creatures, prosthetics, human replicas, specialty props and gore effects. 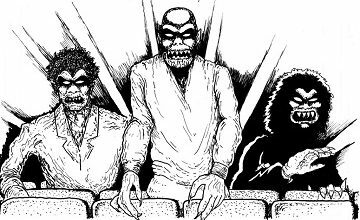 With almost 20 years experience designing special makeup effects and gore gags, Carlos Henriques and Ryan Louagie’s incredible effects work has been featured in ground-breaking independent films, TV series, music videos and haunted attractions. Carlos Henriques (pictured) was kind enough to not only give us a tour of his shop, but to chat with us about why he does what he does. We love practical effects, and while we acknowledge that occasionally CG is required, it should be used sparingly. Nothing beats a nice bloody practical effect. The boys from the Butcher Shop have practical effects down to a science.